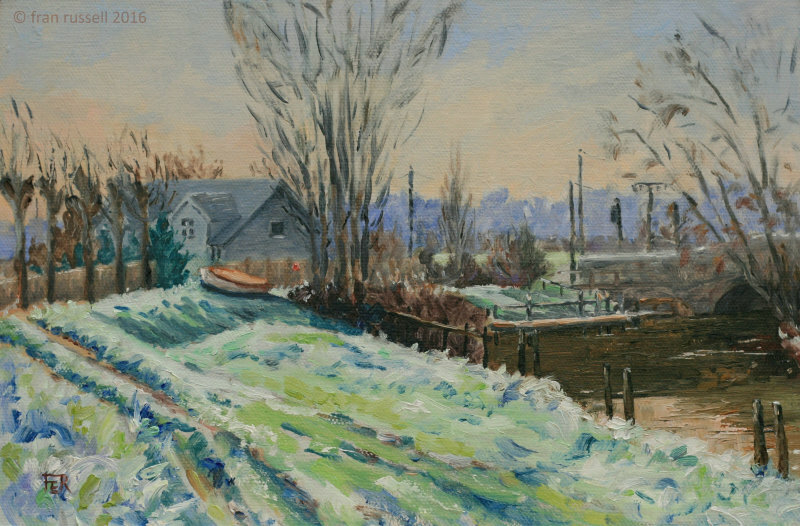 My Gallery > Oil Paintings > Frosty Morning, Newenden. I loved painting on this winter´s morning with the heavy frost on the grass - it looked quite magical. I worked really quickly to capture it before the sun moved round.